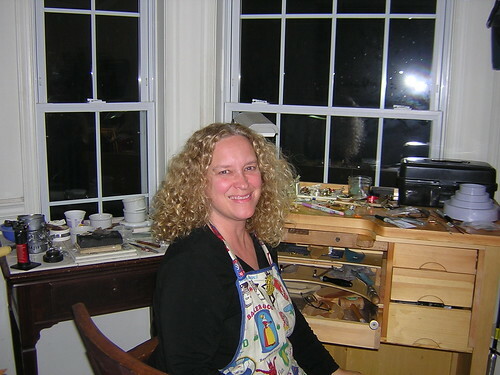 Our 2nd Interview as Art with TADA founder Mary Lu Wason!! 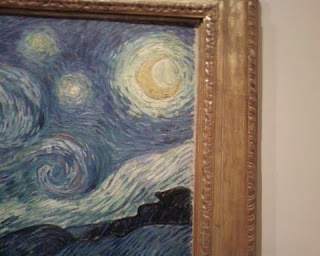 What was your first work of art and how old were you? thing, my personal symbol and to have my jewelry reflect that just seemed perfect. I remember thinking, this is fun. When I'm an old lady, I'll just make my own jewelry. And, that's basically what has happened. I've been working on a collection this year called Metal Sky Jewelry Collection that is a tip of the hat to my younger self. I still draw freehand stars, some a bit wobbly and then cut them out of the metal. all the time. I didn't think it was unusual. I was just following my muse and using jewelry as a reflection of my interests. I still do that. I still believe that something like an over used harmonica or an old button can be much more appealing in a piece of jewelry than a precious stone. It's all about why you are wearing the piece. I was also obsessed with Vincent Van Gogh. The passion he had, for whatever he did in life, was something I could relate to. I always go all the way with my interests - no holding back. I do think that the Internet is fueling an art movement, but I'm not sure how to define it at this point. I'm excited about sharing my work daily online using social media in a community of other artists. I'm sure we'll look back in ten years and see this as a beginning of an upheaval in the art market. The concept of someone having to go to a distant city to see an exhibit and purchase work, seems more and more absurd. The concept of an artist having to spend $5000 to show and sell their work for 4 days to whoever can brave a snowstorm sounds ludicrous, doesn't it? But we're in the middle of changes now and there's no defined way of showing and selling art right now, especially art jewelry, which is not easily defined. - because it's in our nature. This is how it's always been. Maybe the Internet can take some of us back to basics, casting off the dictates of an editor's whim or a gallery's connections. Maybe we can define for ourselves, what can be art, as well as fashion, talisman and memory. If we can show it and sell it online, maybe we won't need to fit into the definitions of the offline world. Now that is really exciting! I would love to see your harmonica bracelet!! 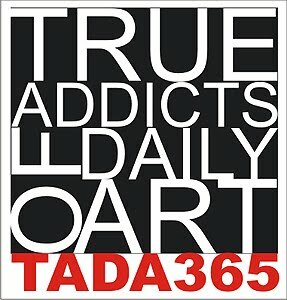 I like your thoughts on TADA and online art. I think I'll have to make another bracelet. The original is long gone. Very inspiring and thought provoking!Thanks for sharing these ideas Mary Lu!